Neo Strata, in it's enduring wisdom has created a beautiful and effective facial cleanser. The Foaming Glycolic Wash is "A potent, PH balanced foaming facial cleanser for experienced Glycolic Acid users who prefer a deep cleansing." Our most potent cleanser is formulated in an amphoteric system to capture the benefits of Glycolic and Lactobionic Acid while minimizing the potential for irritation. Formulated with 18% Glycolic Acid and 2% Lactobionic Acid to gently exfoliate, unclog congested pores, and stimulate cell renewal it prepares skin for optimal benefits of the regimen that follows. pH balanced. Not recommended for patients with sensitive skin. Soap-free, fragrance-free. Dye-Free. Paba-Free. Formulated with 18% Glycolic Acid and 2% Lactobionic Acid. Recommended usage: Twice daily A.M. and P.M. as tolerated. This white, foamy cleanser deep cleanses my skin, leaving it feeling very fresh, impeccably clean and looking a little brighter. I like to use this cleanser with a sonic cleansing brush rather than just my hands, it keeps the cleanser on my skin longer, letting the Glycolic Acid really work it's magic. I have insanely dry skin and I can't use this cleanser every day. I use it to power my skin clean after I wear especially heavy face makeup, such as when I have to pile a lot of concealer on to cover redness. I also like this cleanser for deep cleaning before I exfoliate and do deep moisturizing masque treatments. If you are less dry than I am, with not too sensitive oily, combo, normal to somewhat dry skin, I belive that this cleanser would be gorgeous for you for every day use. 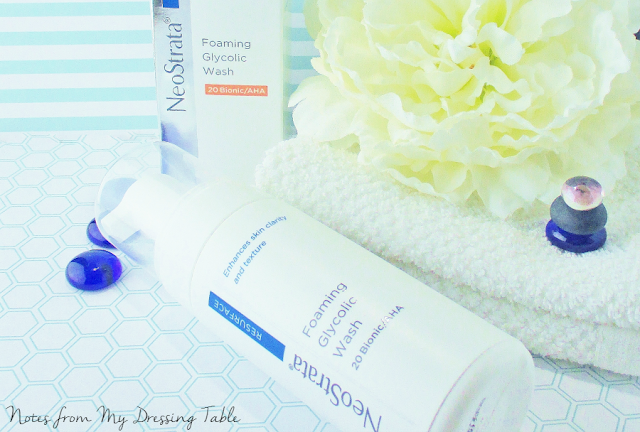 Have you tried the Neo Strata Foaming Face Wash? What do you think of it? Are you a fan of other beautiful Neo Strata skin care? Nice review on it! Very informative and helpful to see. 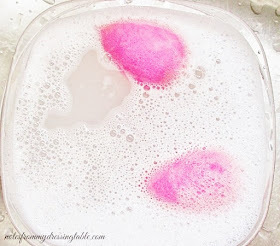 I do the same type of thing by using exfoliating products before moisture masks, and sometimes even before clay masks! It really makes so much logical sense! This sounds like a really great product– so on my list it goes! Thanks for the excellent review! This sounds really awesome. I need to try ittttt! Never even heard of this brand before! I'm going to have to add this to my list of things to check out. Neo Strata and Exuviance. Just top flight skin care. I love everything I try. You're welcome. I hope that you like it. Everyone's skin is different, for sure. I use this as a heavy duty cleansing or pre treatment cleanser, as it's a bit intense for my very dry skin. I wish I could use it daily, it's effective. This sounds like a great cleanser. I have this and I love it, but my skin is oily and acne prone so it really helps with that! Oh - I hear this is a great cleanser and it looks and sounds like it. Haven't tried this brand yet! I'd have to use it like you since too many times a week would be too drying. I haven't tried this, but I love Neo Strata as a brand. 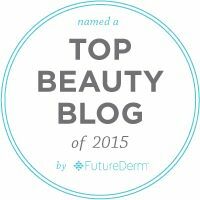 Their Skin Resurfacing Duo is amazing.